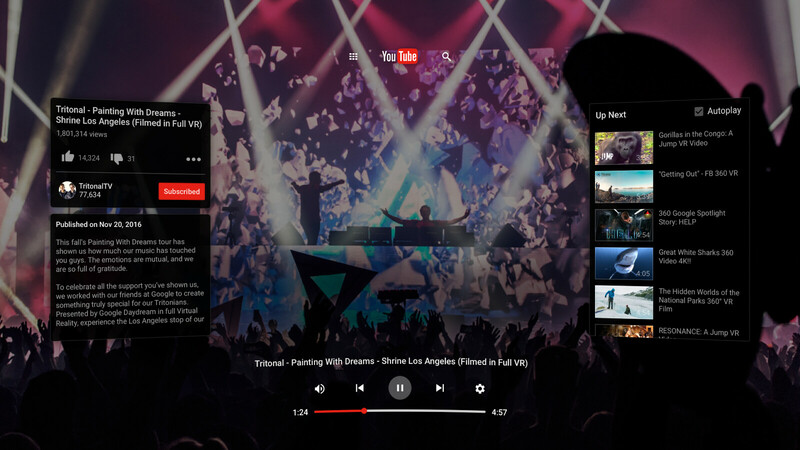 YouTube as a 3D world that users can now explore from the inside. Keep in mind though that for the time being, this VR experience will only be available on Daydream View, though Google implies that it might extend to other devices as well. The Android app allows users to watch and browse videos on YouTube, from 3D 360 videos to standard rectangular videos. YouTube VR comes with a specially designed “theater mode” as well, which can be used to watch any standard video on a virtual big screen. While it's clear that Google is getting serious about VR, we're not sure that having a separate YouTube app just for VR videos will contribute to the unification of the Android platform. Perhaps it would have been just a good to have these VR-related feature implemented into the standard YouTube application, in a different category.